Harrison Ford, who turns 75 in July, has had a long run playing heroic figures, principally Han Solo and Indiana Jones. For a time, it seemed as if Ford was taking a back seat to other actors. For example, in 2011’s Cowboys and Aliens, he was clearly a supporting player to star Daniel Craig. Then, in 2015, Ford was a big star again with Star Wars: The Force Awakens, where he got top billing playing Han Solo once more. However, Han was killed by his son who had given into the Dark Side of The Force. Meanwhile, there’s supposed to be a fifth Indiana Jones movie but nothing scheduled for at least a couple of years. Do we want Indy pushing 80? Or is it time to retire Indy? Which gets us to a more practical idea: How about Ford starring in a movie version of the 1973-80 television series Barnaby Jones? Barnaby Jones out-thought his opponents, assisted by his daughter-in-law Betty (Lee Meriwether) and, in later seasons, by a much-younger cousin, J.R. Jones (Mark Shera). It would be an opportunity for Ford to use a different set of acting skills compared with Star Wars and Indiana Jones. Plus, audiences clearly still like Ford. As a result, a Barnaby Jones movie would still get attention in the 21st century. 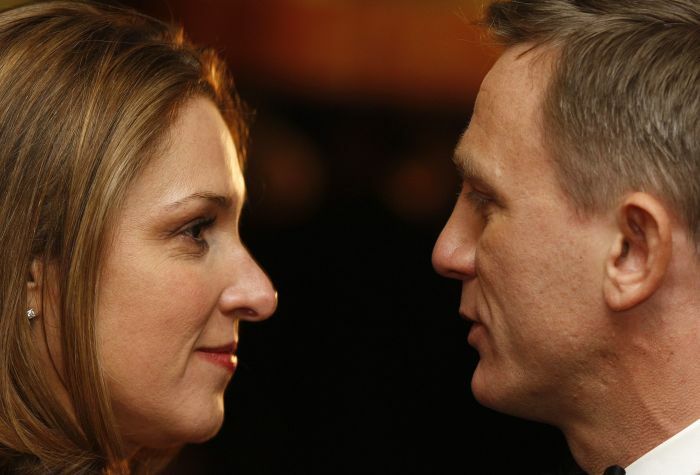 Eon boss Barbara Broccoli and Daniel Craig: Working together on another Bond movie soon? Nothing like a story by The New York Times to generate more questions about the future of the film 007. What’s Barbara Broccoli thinking? Sony Pictures has released the last four Bond movies. Barbara Broccoli, the Eon Productions boss, had by all accounts a good relationship with Sony executive Amy Pascal. The Broccoli-Pascal relationship was noteworthy in a still male-dominated movie business. Pascal is gone, losing her job as a result of the Sony hacks in 2014 (though having a producer deal at Sony). One of the bidders to release Bond 25, according to The Times is Annapurna. It’s an “upstart” (The Times’ words) movie concern that is about to release its first film Detroit, a drama about the 1967 riots in that city. Annapurna head Megan Ellison, 31, is a tech heiress who has been active in producing dramatic films. Could she forge a bond with Barbara Broccoli, who turns 57 in June, similar to the one Amy Pascal had? Why is MGM and Eon Productions only seeking a one-film deal? Metro-Goldwyn-Mayer emerged from bankruptcy in 2010 a smaller company. It has been rebuilding gradually. MGM spent much of 2016 negotiating with a Chinese buyer (still unidentified) but those talks didn’t pan out. MGM also has talked about selling stock to the public at some point. MGM may yet see major changes. Keeping a distribution deal to Bond 25 only provides MGM executives flexibility for the future. Why isn’t Walt Disney Co. interested in 007, according to the NYT story? Disney tends to think big. It spent billions to acquire both Marvel and Lucasfilm Ltd. (Star Wars) and is reaping the rewards as both crank out big hits. 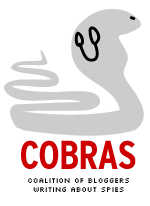 Being the Bond film distributor means a lot of cost without a lot of profit. Sony, in its most recent deal, co-financed Skyfall and SPECTRE but only got 25 percent of the profits. MGM and Eon got more money than Sony did. Bond fans may object, but for Disney releasing Bond movies would probably be more trouble than its worth. Disney would only get involved with 007 if it could buy everybody out and control it all, the way it did with Marvel and Star Wars. 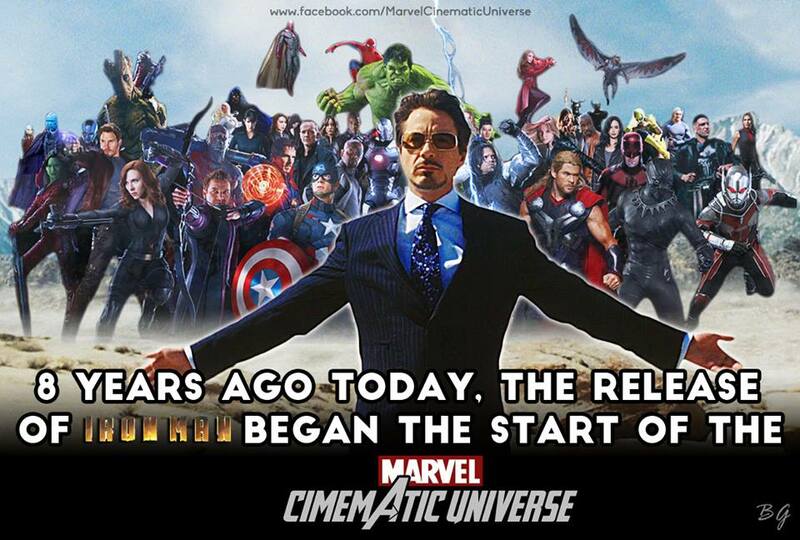 Facebook image Marvel put on Facebook in May. The Bond Bulletin in a post today noted that the James Bond film series had fallen behind Star Wars in all-time box office. Depending on how you define “franchises,” 007 is now 004 in unadjusted box office. In a list of franchises on The Numbers box office website, the Marvel Cinematic Universe as of Dec. 30 has $10.9 billion worldwide box office, Harry Potter $8.47 billion, Star Wars $7.2 billion and James Bond $7.08 billion. Again, this is unadjusted box office. It’s not number of tickets sold. And it doesn’t account for rising ticket prices. James Bond: The 24 007 films produced by Eon Productions since 1962 plus 1983’s Never Say Never Again (not made by Eon but with original film 007 Sean Connery). It does not include 1967’s Casino Royale spoof film. Star Wars: Nine movies comprised of original trilogy (1977-1983), second trilogy (1999-2005), Star Wars Episode VII: The Force Awakens (2015), the animated movie Star Wars: The Clone Wars (2008), and this year’s Rogue One, a Star Wars story. Harry Potter: Eight Harry Potter series films released 2001 to 2011, a Potter marathon at Imax theaters this year and 2016’s Fantastic Beasts and Where to Find Them, a spinoff. Marvel: Fourteen films, beginning with 2008’s Iron Man and running through this year’s Dr. Strange, produced by Marvel Studios. All of the movies occur in the same fictional universe. It does not count X-Men and Fantastic Four films produced by 20th Century Fox and Spider-Man movies produced by Sony Pictures. Fox and Sony licensed those characters before Marvel decided to make its own movies. The separate X-Men category on The Numbers website includes solo films featuring Wolverine an Deadpool. Both Star Wars and Marvel fell under the wing of Walt Disney Co. through acquisitions. They’re released under Lucasfilm Ltd. and Marvel brand names. Under Disney ownership, both Lucasfilm and Marvel are ramping up production. Episode VIII of Star Wars comes out next year, with other Star Wars-related films, such as Rogue One, planned. Marvel has been making two movies a year and will make three in 2017, including Spider-Man: Homecoming, which Marvel is producing but Sony will release. This year, Spider-Man joined the Marvel cinema universe in Captain America: Civil War. Warner Bros. plans as many as five Fantastic Beasts films. The Bond series doesn’t have an “extended universe,” a concept made popular by Marvel. It features one character, James Bond. 2012’s Skyfall, showed the series is capable of billion-dollar box office. It terms of number of tickets sold, Skyfall was No. 3 in series history in the U.S. market at 37.8 million, behind Thunderball and Goldfinger. The most recent entry, SPECTRE, had worldwide box office of $880.7 million, No. 6 globally in 2015. In the U.S. market, SPECTRE sold 23 million tickets, No. 14 in series history. On that basis, it was also the lowest since the series resumed in 1995 following a six-year hiatus. Carrie Fisher, an icon for Baby Boomers as Princess Leia in the Star Wars films, has died at 60, according to an obituary in The New York Times. Fisher suffered a “cardiac episode” during a London-to-Los Angeles flight on Dec. 23, the Los Angeles Times reported that day. Fisher played Princess Leia for the first three Star Wars movies (but chapters IV, V and VI of the saga), released in 1977, 1980 and 1983. She again played the role of Leia, now a rebel general, in 2015’s Star Wars Episode VII: The Force Awakens. She had completed work on the untitled eighth episode, due out in December 2017, The New York Times said, citing Walt Disney Co.’s Lucasfilm unit. In between, she emerged as writer as well as an actress. Her life was a public one. Fisher publicly discussed her bipolar disorder and addiction to cocaine. She was married briefly to singer Paul Simon. Some of her writings, such as the novel Postcards From the Edge, were autobiographical. Fisher wrote the screenplay for the 1990 movie based on the Postcards novel. Some of her non-Star Wars parts included a woman involved with an affair with a married man in 1989’s When Harry Met Sally. “You’re right, you’re right. I know you’re right,” Marie, Fisher’s character, would respond when her friends said she end the relationship. The line became a catch phrase. Fisher, born Oct. 21, 1956, was exposed to entertainment publicity from an early age. She was the daughter of actress Debbie Reynolds and singer Eddie Fisher. Both of Fisher’s parents were big stars at the time. Eddie Fisher later left Reynolds for actress Elizabeth Taylor. She became an actress herself with 1975’s Shampoo, followed by the original Star Wars (now Star Wars Episode IV: A New Hope). 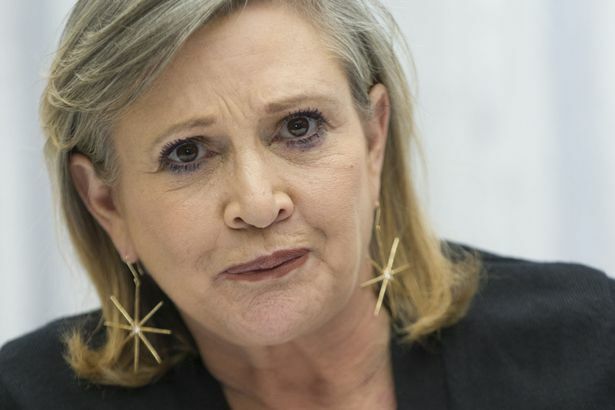 Tributes to Fisher were posted on media after her passing. Ken Adam, who helped create the film world of James Bond, has died at 95, ACCORDING TO AN OBITUARY BY THE BBC. Adam’s official title was production designer, a duty he held on seven 007 films, starting with Dr. No in 1962 and concluding with Moonraker in 1979. With Dr. No, a modestly budgeted film, Adam’s set designs made the movie look more expensive than it really was. 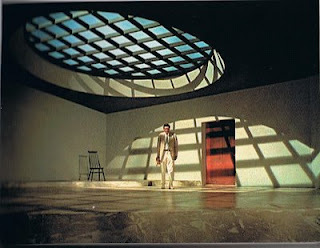 An example was a large room where Professor Dent (Anthony Dawson) converses with an unseen Dr. No (Joseph Wiseman). In a John Cork-directed documentary, Adam described the style as “slightly ahead of its time.” Dr. No’s lair looked fantastic, yet had antiques. Dr. No was no fluke. The Adam-designed interior of Fort Knox in Goldfinger was attention grabbing. Ian Fleming’s novel never made it inside the U.S. gold depository. Adam made it almost dream like. You could understand why Auric Goldfinger lusted after gold. Sean Connery may have breathed film life into Fleming’s creation. Ken Adam gave the film Bond a world to inhabit. Also, over time, Adam altered his style. His early Bond films had rectangle-shaped sets. With The Spy Who Loved Me, he introduced more curved shapes. Finally, as the Bond films expanded in scope and budget, Adam’s job took on aspects of a construction boss. The SPECTRE volcano base in You Only Live Twice cost as much or more than all of Dr. No. Its construction at Pinewood Studios caused “hardened” film professionals to give up their lunch hours to watch it being built, sound man Norman Wanstall said in one of the Cork-directed documentaries. Even more ambitious was The Spy Who Loved Me, featuring the inside of a tanker that swallowed nuclear submarines. Spy got Adam an Oscar nomination. He probably would have won if the movie had come out in 1976. 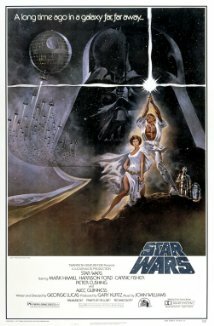 Instead, it came out in 1977 and was up against the first Star Wars film, which got the Oscar in the category. Adam’s style had a huge impact, not only with other spy films of the 1960s, but well into the 21st century. 2013’s Star Trek Into Darkness had an homage to Adam’s “War Room” set from 1964’s Dr. Strangelove Or How I Learned to Stop Worrying and Love the Bomb. A giant in his field has left us. But Adam leaves behind an enormous legacy, not only with the Bond series but many other films. UPDATE: Here’s the tweet Roger Moore sent out about Ken Adam’s passing. 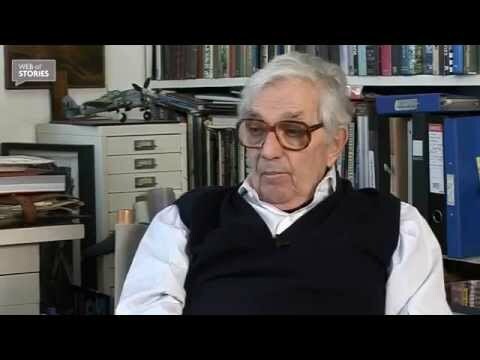 Sir Ken Adam – a friend, a visionary and the man who defined the look of the James Bond films. UPDATE (March 13): It took a few days but The New York Times has come out with A VERY DETAILED OBITUARY for Ken Adam. Also, here’s the tweet from the official 007 account that announced Adam’s death. The Bond family mourns the passing of our beloved friend Sir Ken Adam who was so responsible for the visual style of the James Bond films.